SSFs are political committees established & administered by (profit or nonprofit) corporations, labor unions, membership organizations, or trade associations. These committees can only solicit contributions from individuals associated with a connected or sponsoring organization. Corporations, labor organizations & incorporated membership organizations are prohibited from making direct contributions or expenditures in connection with federal elections (2 U.S.C. §44lb). These organizations may, however, sponsor a SSF (popularly called a “PAC”) which collects contributions from a limited class of individuals & uses this money to make contributions & expenditures to influence federal elections 11 CFR 100.6. As the sponsor of the SSF (i.e., its “connected organization”), the corporation, labor organization or incorporated membership organization may absorb all the costs of establishing & operating the SSF including soliciting contributions to it. These administrative expenses are fully exempted from the Act’s definitions of “contribution” & “expenditure.” 11 CFR 114.1(a)(2)(iii). We are not “a commercially-centric organization” specifically because we do not wish to impose strict Admiralty Law as a result of the transmittance of any of the information we’re providing. This can be done because we are consistently working to help redesign our infrastructure in such a way that humanity will not remain absolutely dependent upon the economic system for the purpose of basic survival- Wild Willpower PAC has been mapping & plotting a course to get from “where we are now” to “where we can be” for several years. Questions? Suggestion(s) for improvement? Want to offer financial support? 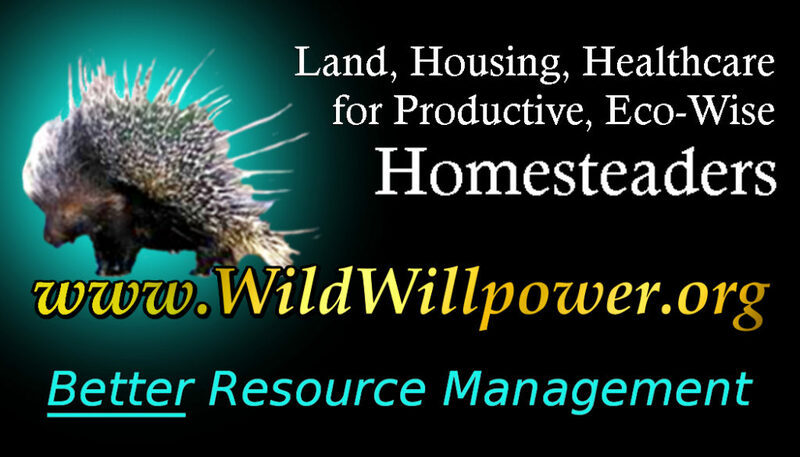 Email Distance@WildWillpower.org. We look forward to hearing from you!